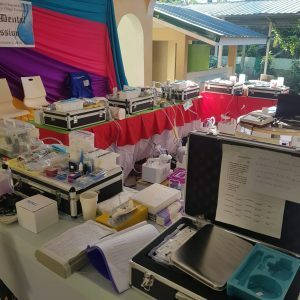 It was a mission not far different from the many the Foundation has completed so far in the past three years and, the projected outcome was as expected. 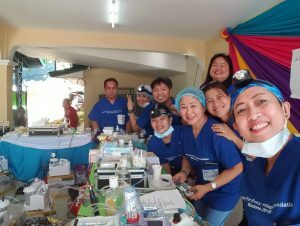 The volunteers completed their tasks without fanfare and many patients regained their dignity or at the very least, their smiles. 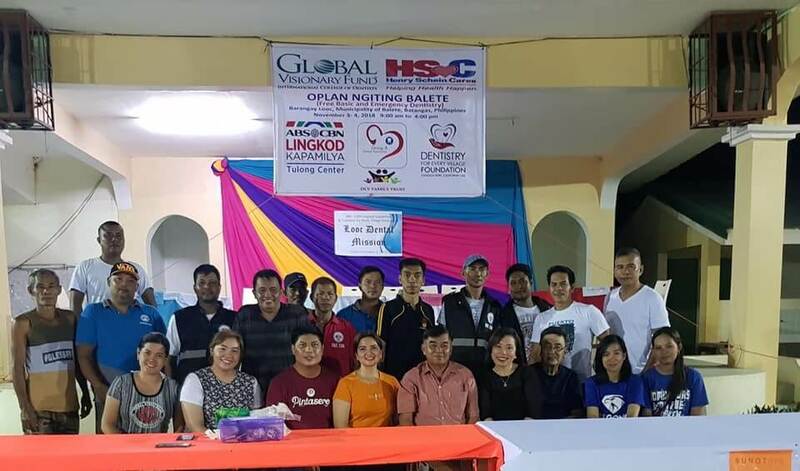 Barangay Looc in the Municipality of Balete in the Province of Batangas, Philippines is a very small village. 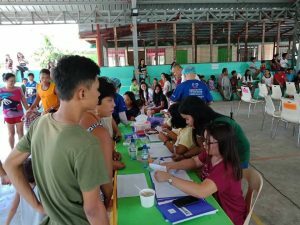 It has merely a little over 26,000 residents whose main livelihood depends on fishing from the nearby Lake Taal, whatever agriculture they muster from their hilly terrain throughout the year and the products of small home industries. The people of Looc are typical Filipinos, humble, very welcoming and always with a warm smile. 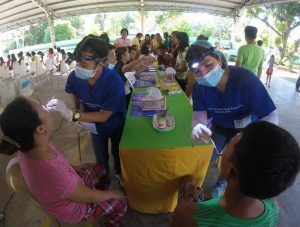 But they have huge health access issues, particularly when it comes to dentistry. 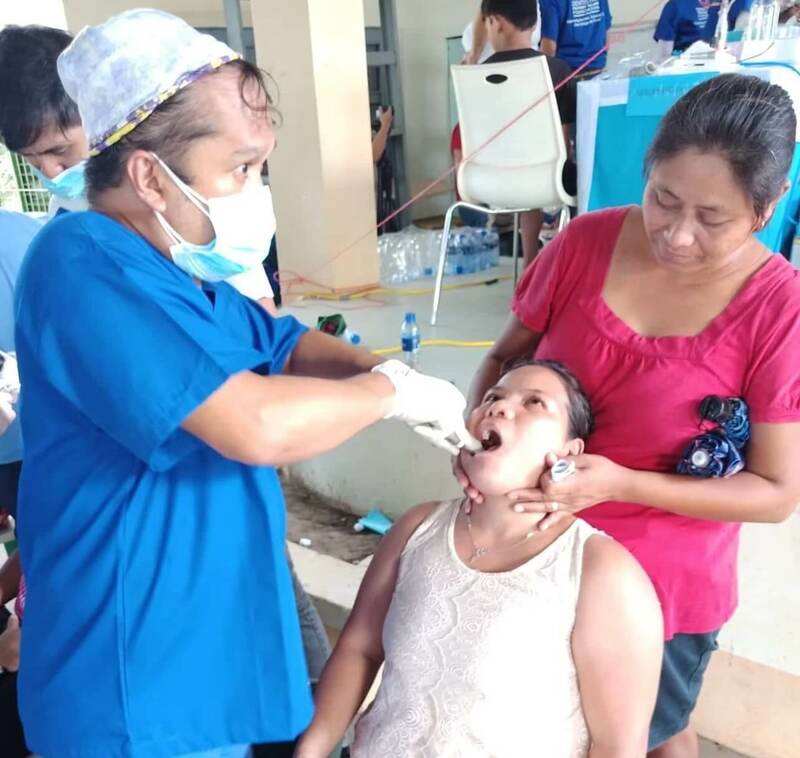 There is no dentist in the village save for an occasional rural health dentist that come every once in a blue moon to do nothing but extractions as he had no means to do other dental procedures. 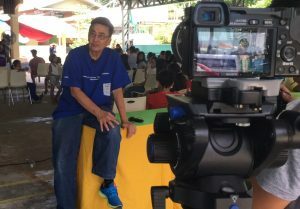 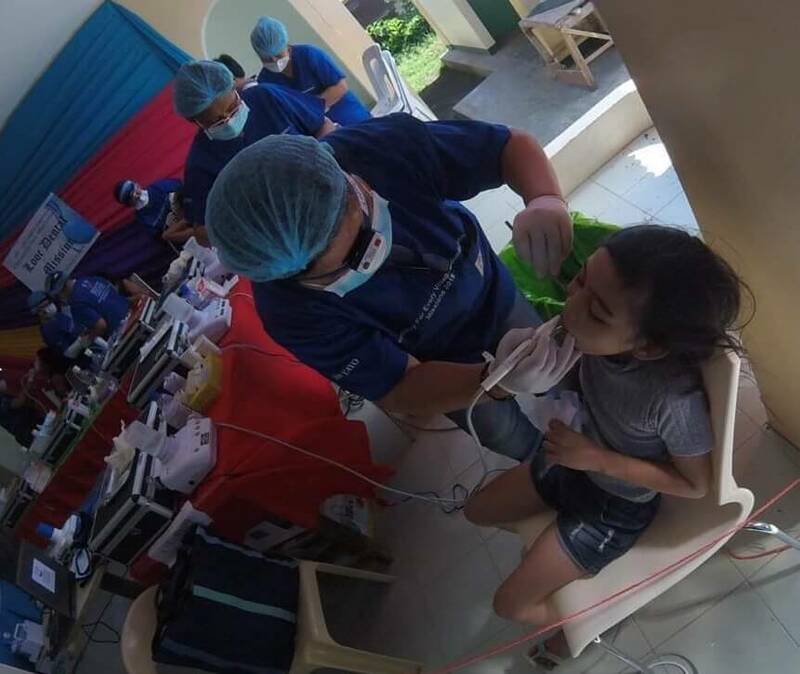 When our local partners, ABSCBN Lingkod Kapamilya brought these issues to our attention, we had no trouble in saying, “yes” as we knew there is a great need. 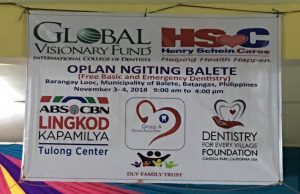 Thus, Oplan Balete was conceived. 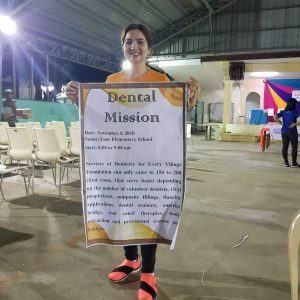 Supported by a generous group of volunteer dentists that helped the Foundation since its inception, led by the Group A Dental Associates, the plan was hatched and the logistics were put in motion. 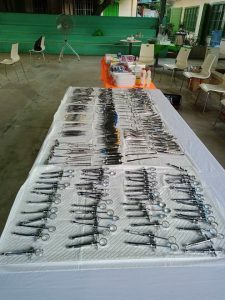 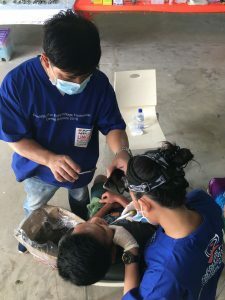 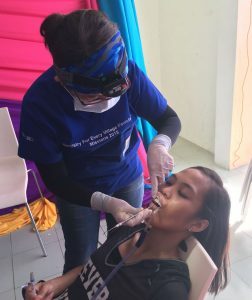 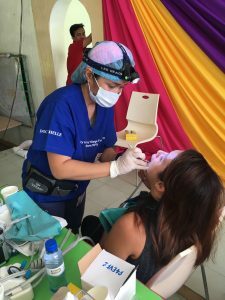 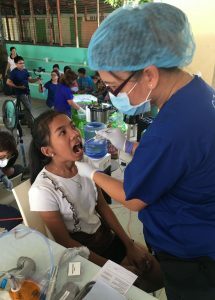 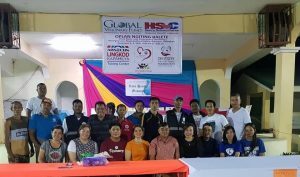 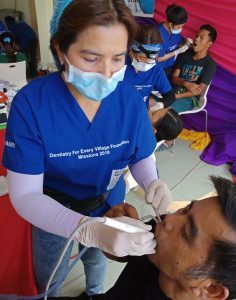 A fundraising was initiated to purchase additional small hand instruments, sundries, and dental supplies to complement the leftover supplies from previous missions during the year previously donated by the International College of Dentists Global Visionary Funds and the Henry Schein Cares Foundation. 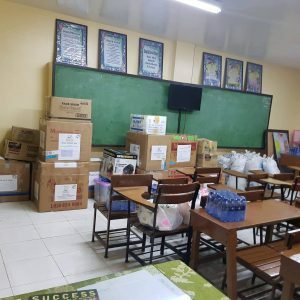 Whatever resources collected were used to purchase what was needed and these were all packaged and carried in three 50 lbs. 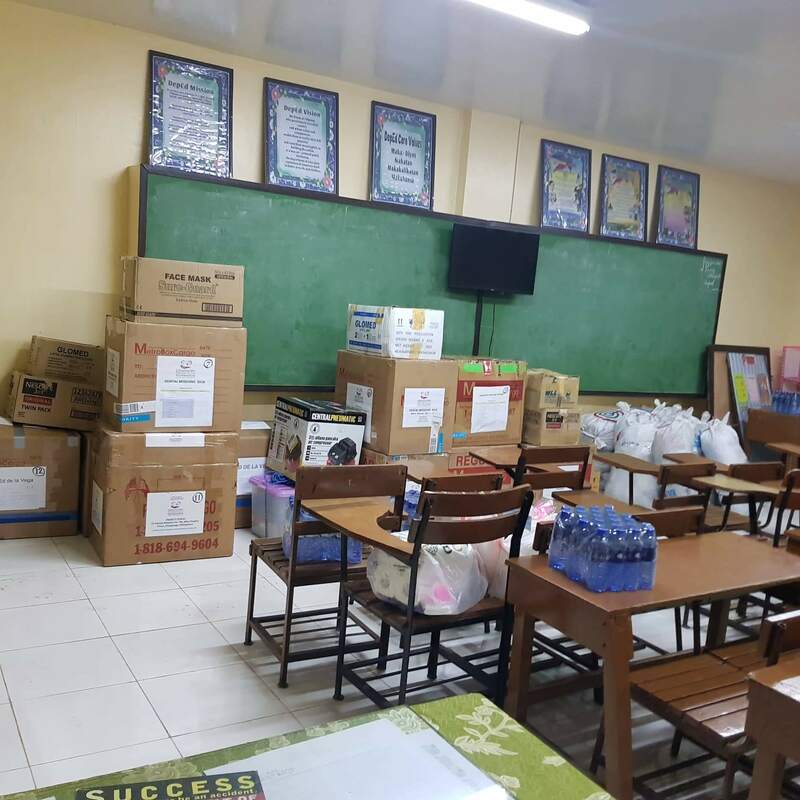 boxes by the D4EVF President, Ed de la Vega as he traveled from Los Angeles to the Manila. 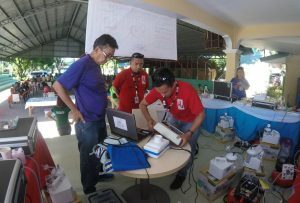 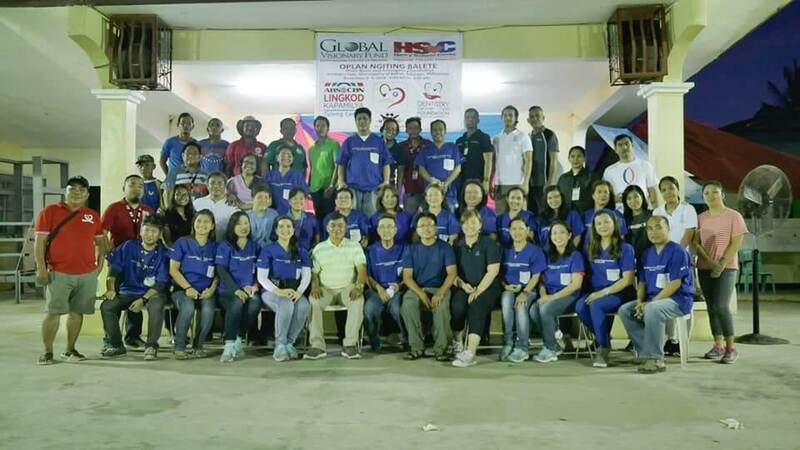 ABSCBN Lingkod Kapamilya provided the vans to transport all of the more than a dozen huge boxes of equipment and supplies as well as resources to cover the cost of transporting 24 volunteers and the hotel rooms for the advance party that set up the equipment a day before the actual mission. The perennial supporter of the Foundation, the DLV Family Trust, covered other resources needed. The local villagers gave a hand in preparing the site, a covered court inside the compound of the small Looc Elementary School. 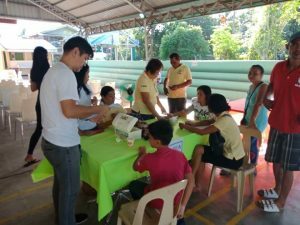 The site was chosen mainly due to its accessibility, the presence of clean running water and adequate power supply. 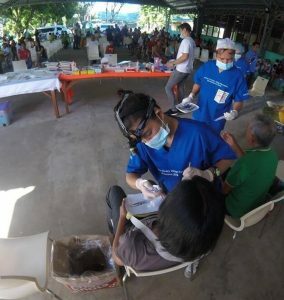 At the day of the mission, patients started lining up two hours before the announced start time. 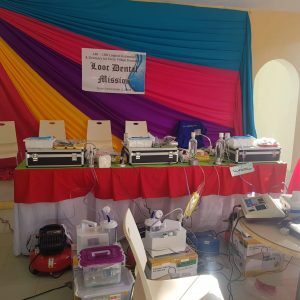 Thus, the screening to determine who goes to what department started soon after the opening prayers were said and a small introduction of the mission of the Foundation was presented to the villagers. 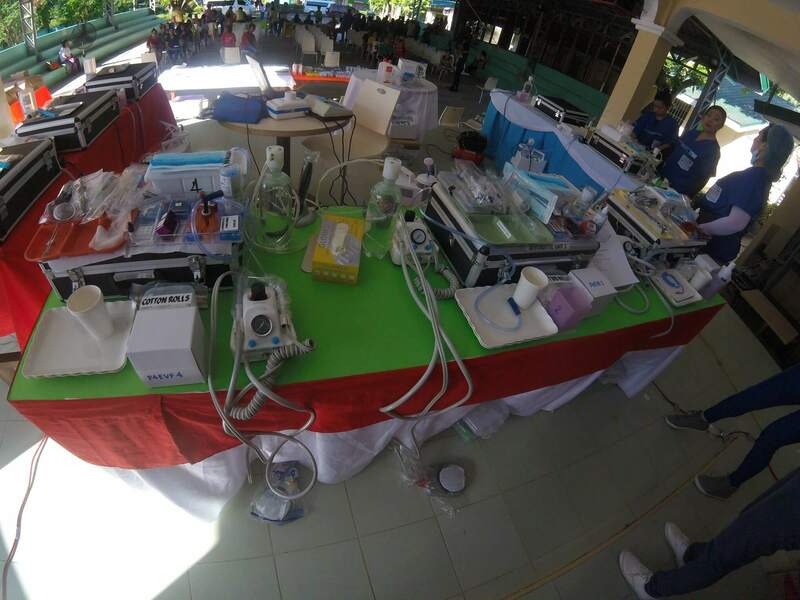 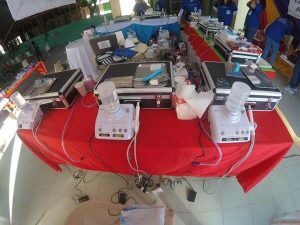 Fifteen dentists, two dental technicians, two auxiliary personnel, and two instrument processors to man the steam sterilizers came in as volunteers. 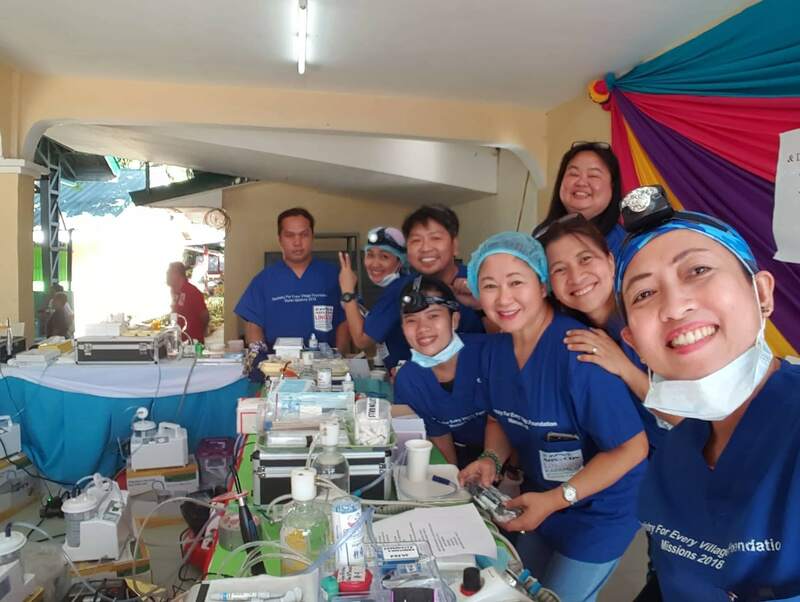 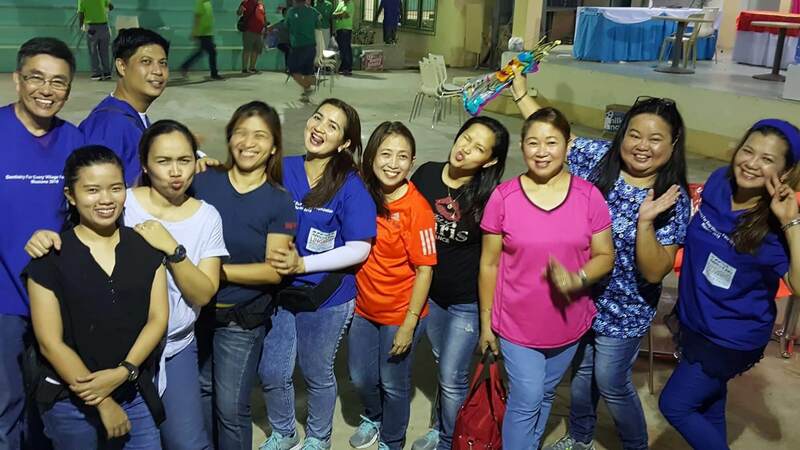 Ten staff members from ABSCBN Lingkod Kapamilya came to help in the logistics, with four members taking care of the pharmacy section where postoperative pain medications and antibiotics were given away to patients that needed them. 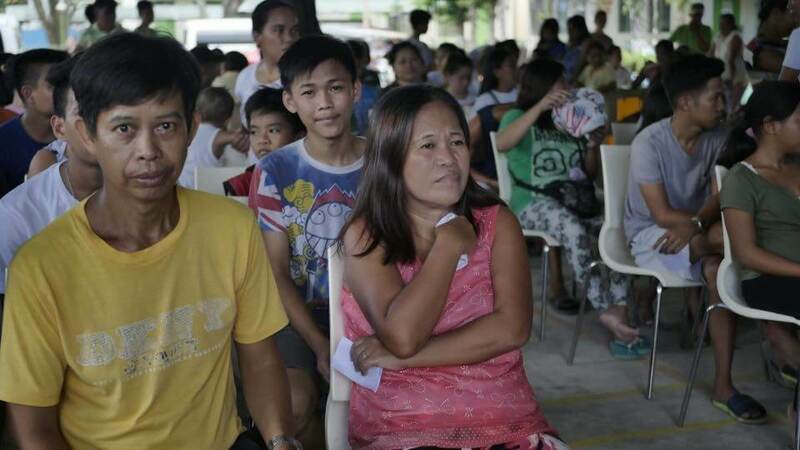 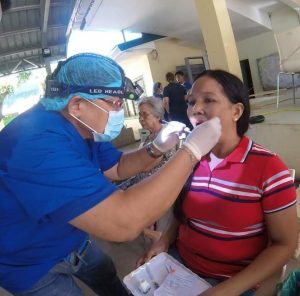 The local village leaders selected 150 patients who are in most need for dental services. 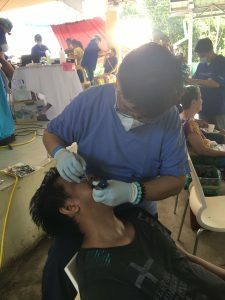 But in the end 179 patients were actually seen as people from the far end of the village that got the news of our mission late, simply decided to walk in and ask for the services. Multiple services were provided. 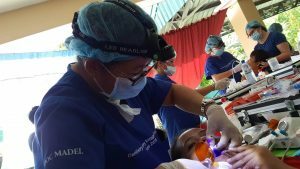 The volunteer dentists did composite resin fillings and provided sealants and topical fluoride applications on children and young adults. Simple root canals supported by a digital x-ray system were done. 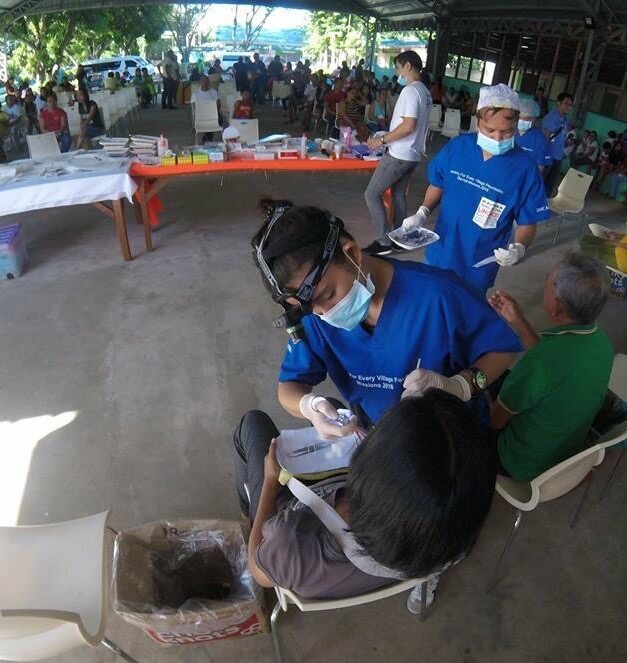 Oral prophylaxis and patient education were also part of the order for the day. 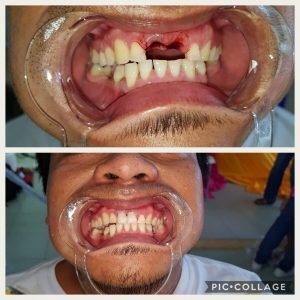 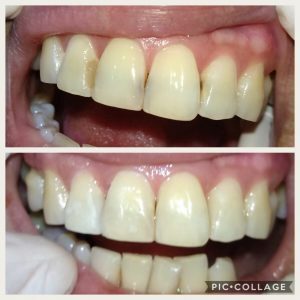 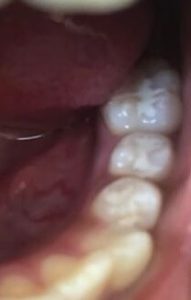 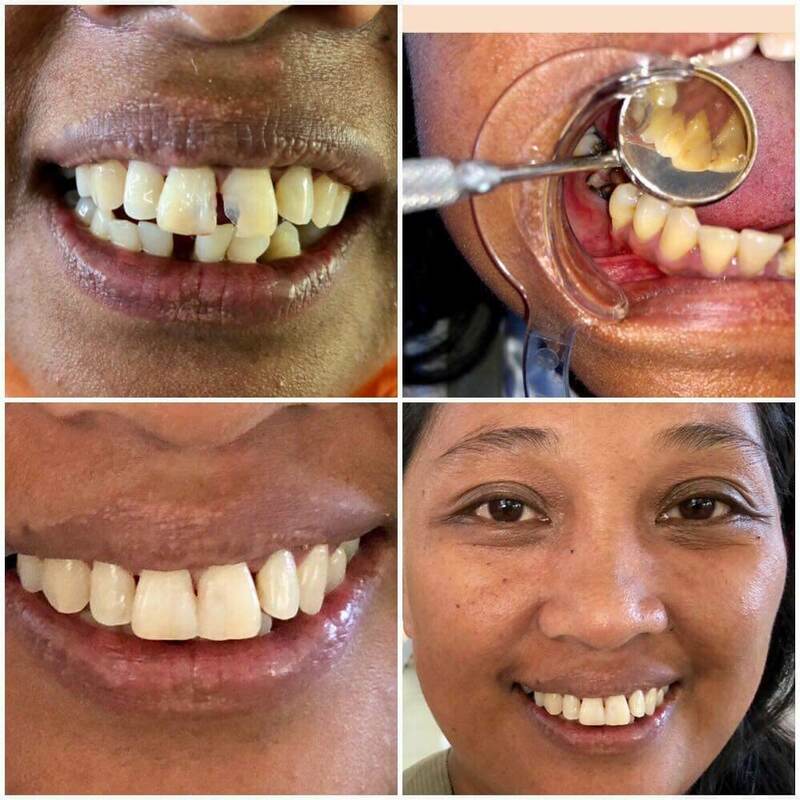 A four-unit anterior bridge using fiber-supported composite was also done to restore the two missing teeth of a young man who was seeking a job abroad as an overseas foreign worker. 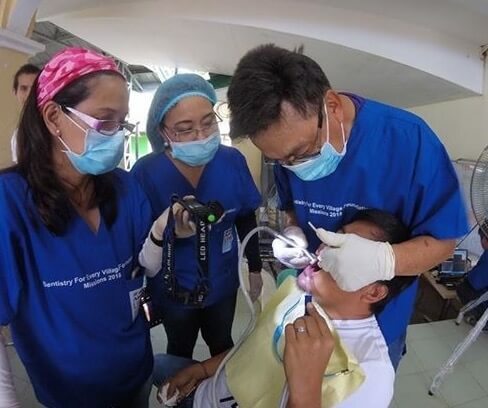 At the end of the day, almost 200 dental procedures were completed. Teachers from the elementary schools volunteered as cooks to prepare the food for the volunteers. 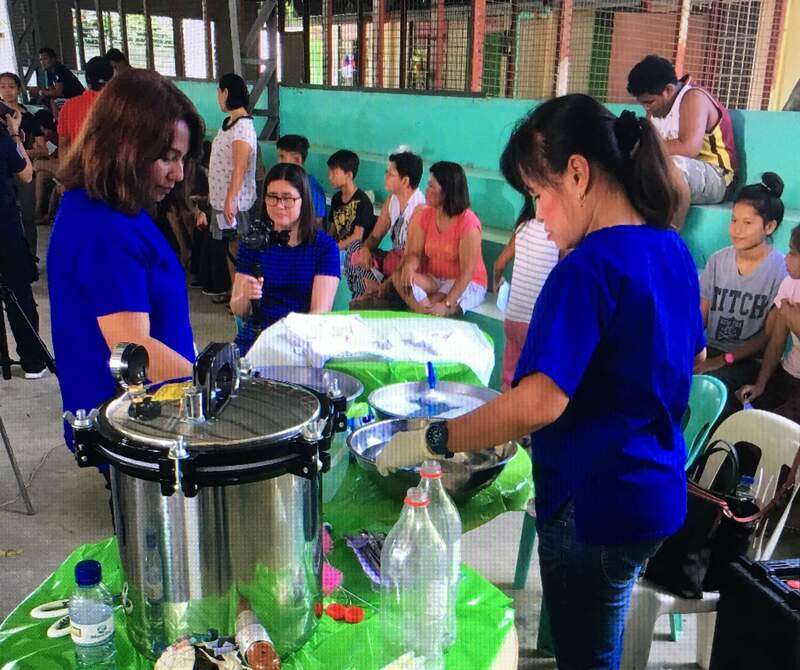 It was so heartwarming to see them enjoy the task as they prepared freshly picked vegetables grown from the nearby hills and fish caught from the Lake Taal including a variety of fish called “Tawilis” that can only be found in the said Lake and nowhere less in the Philippines. The village captain and his policemen were present the whole time assuring that there was order and the volunteers are well protected and comfortable in the environment. 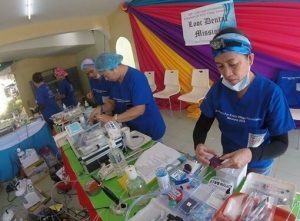 The mission admittedly was not as large as the previous missions the Foundation has done. But for the people of the Village of Looc, in Balete, Batangas, it was something very special. It was the first dental mission ever held at the village. 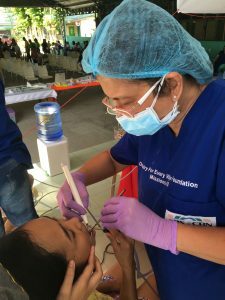 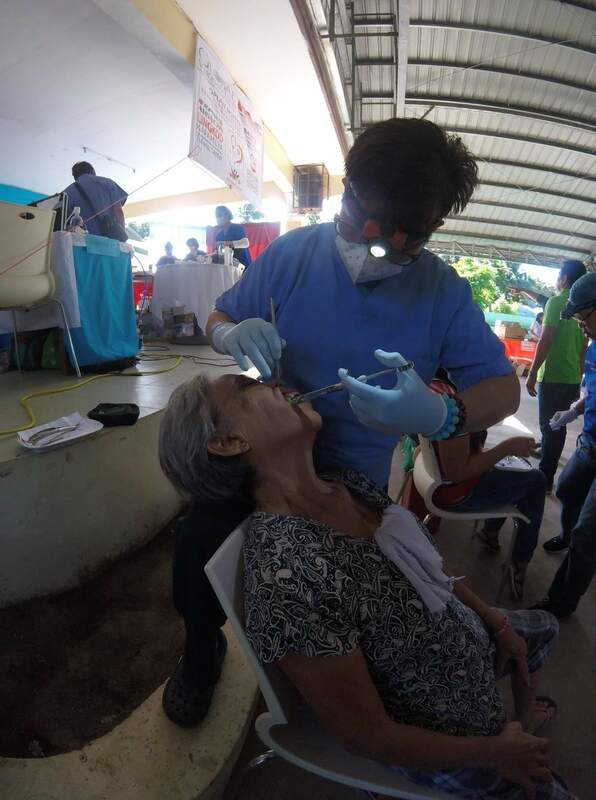 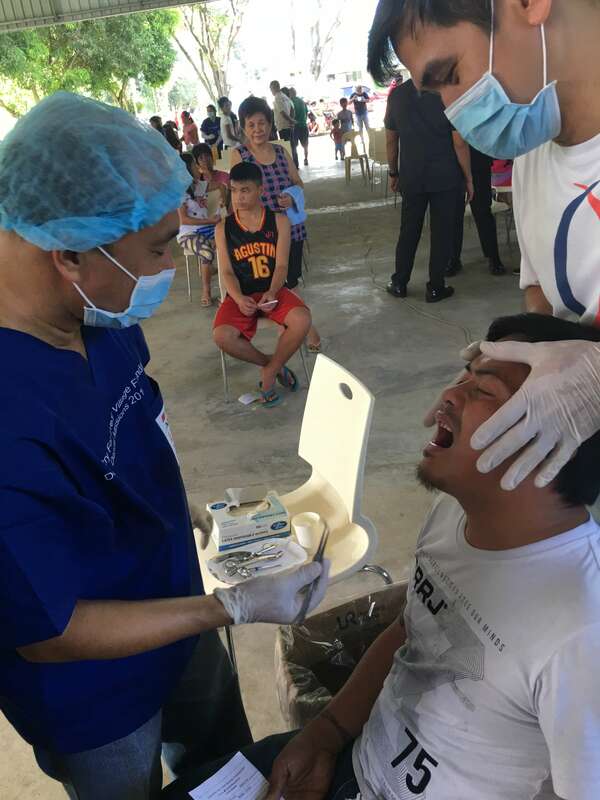 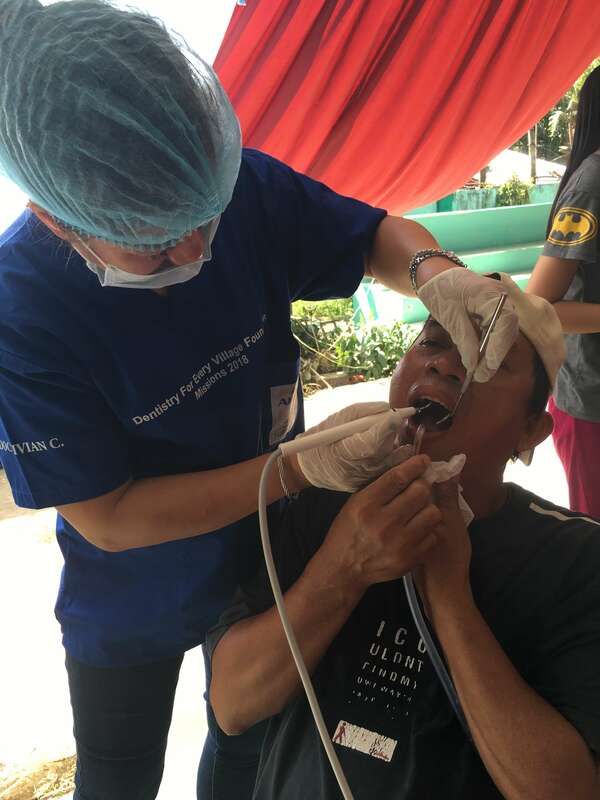 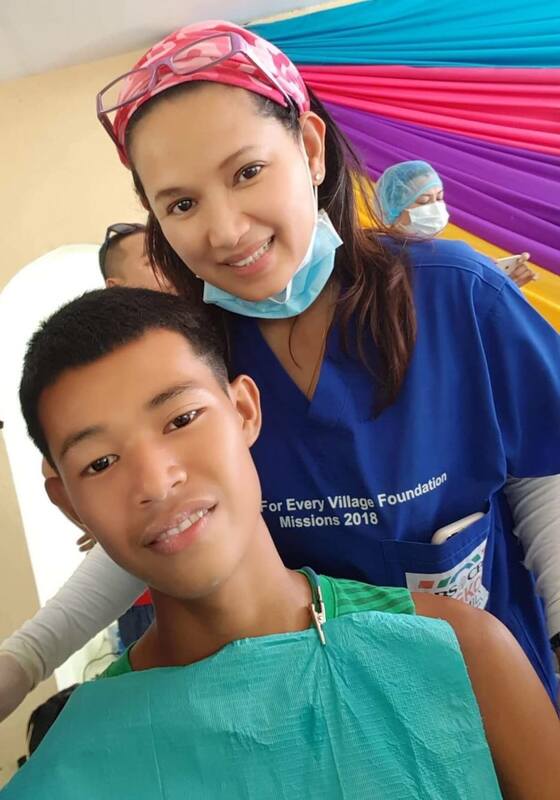 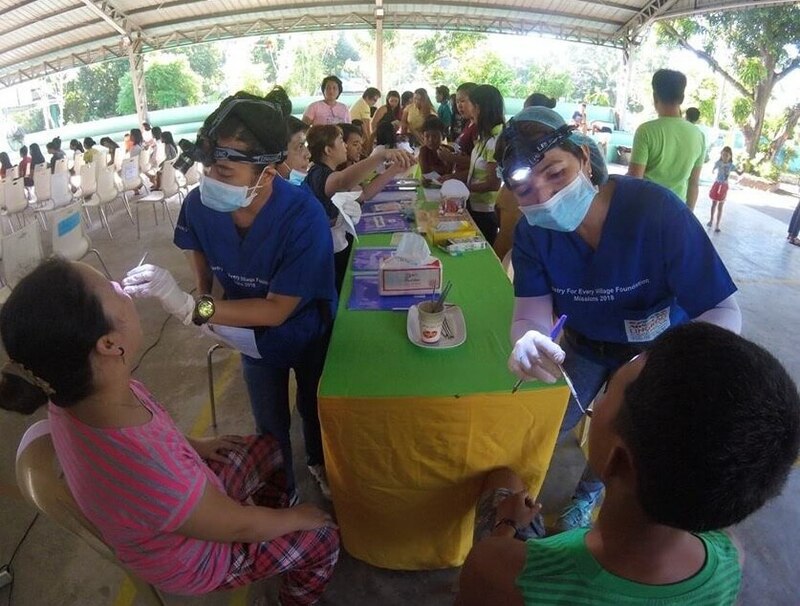 No one since the Balete was established as a separate municipality in 1969 cared to come to Village of Looc to provide the kind of dental mission services the Foundation provided for the villagers. 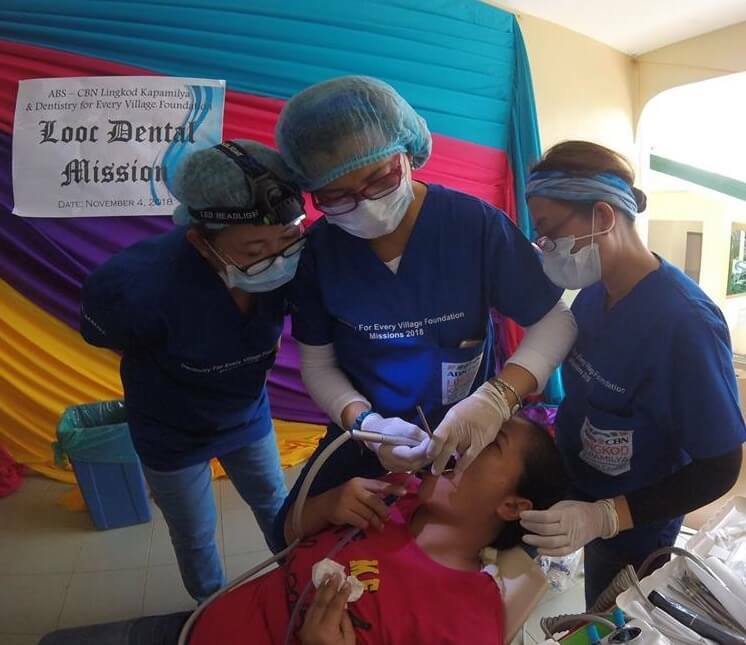 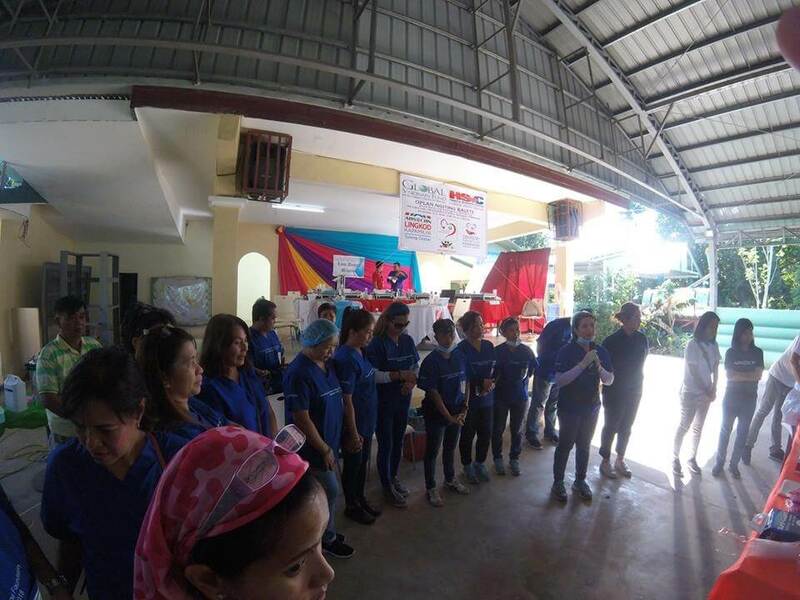 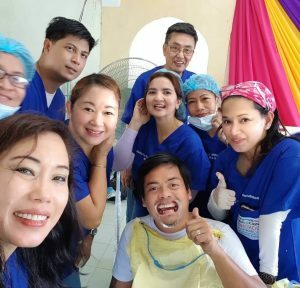 For that, they were thankful to the ABSCBN Lingkod Kapamilya for identifying their needs and to the Dentistry For Every Village Foundation and their volunteers for addressing those needs. 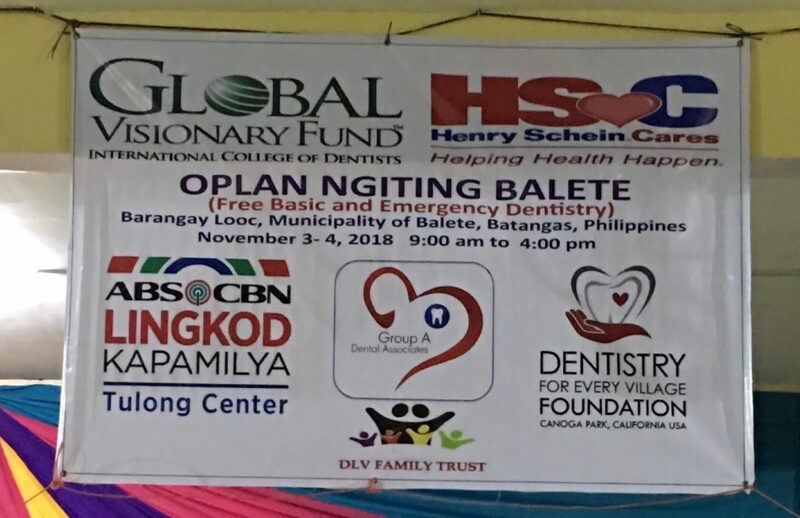 The Foundation in return is very thankful to ABSCBN Lingkod Kapamilya and to the ICD Global Visionary Fund and the Henry Schein Cares Foundation for their unending support for the Foundation. 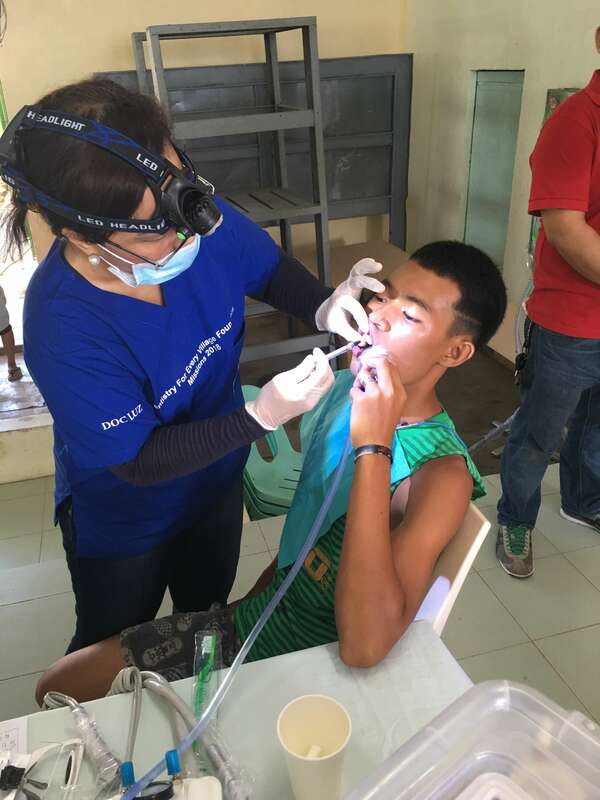 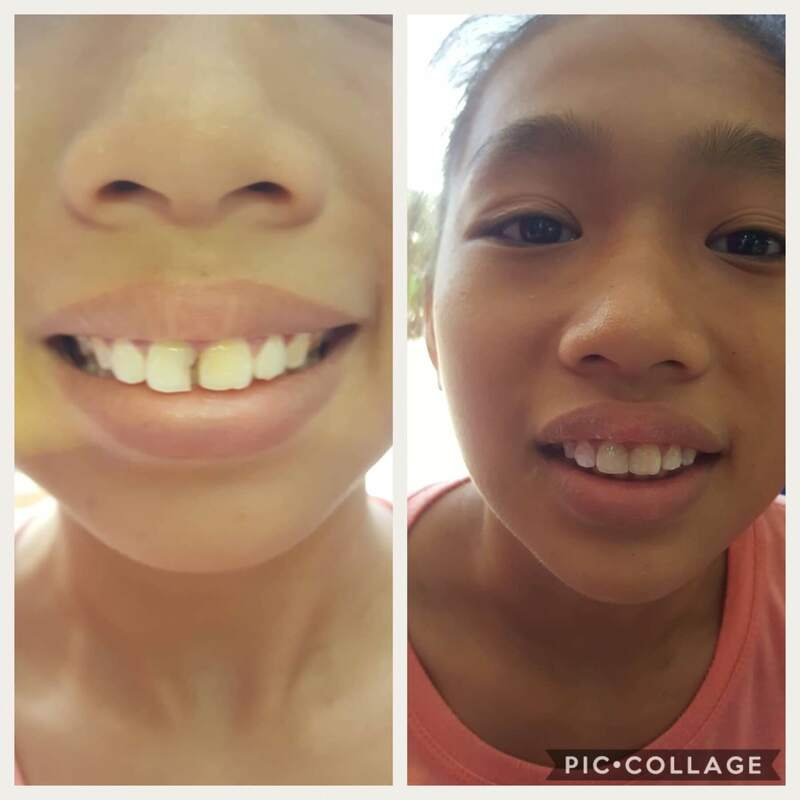 Without their support as well as those of the volunteers that continually come to man the trenches, so to speak, people like those from the Village of Looc are doomed to early loss of their teeth that will inevitably affect their health and perhaps, even their dignity.